Most of people record and edit sounds with their computers. If you come to a Windows PC background, you may be familiar to a small application named Sound Recorder. So what options do we have on Mac OS? We have tested some mainstream sound editors Mac version and we are here to tell you the top 5 OSX sound editors through our test. By searching on Google or other searching engines with the keywords like "osx sound editor" or "sound editor for os x", you could get thousands of answers. Through carefully comparison, we have collected top 5 OSX sound editor software for you to edit sound file on Mac OS X. Check them below. 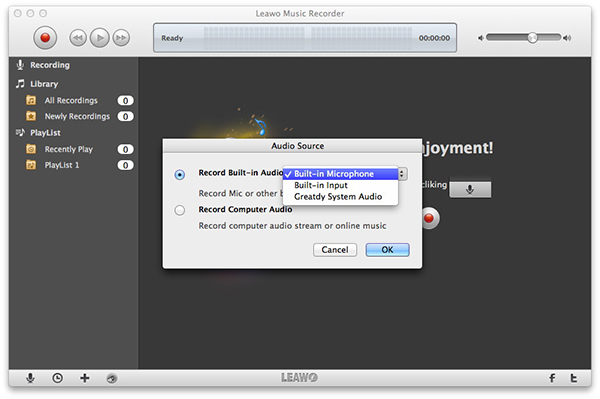 Leawo Music Recorder for Mac is a smart OSX sound editor which can automatically add music tags when recording music. It also lets you manually edit those sound files in the library. The Info download function can automatically match music tags to recorded sounds. You can change album photo for your recording sound and edit the title, artist, cover, genre, etc. You can also manage music library and playlist effectively and add recorded music files to iTunes/Playlists with 1-click. 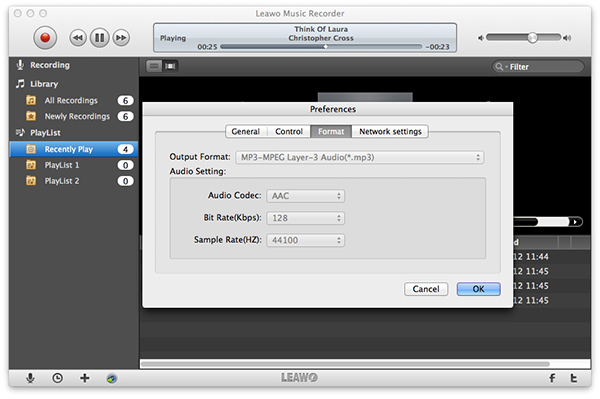 Leawo Music Recorder for Mac could record any audio on Mac and then save in M4A, MP3 or WAV formats. That makes you create ring-tones and CD easily. Online FM Radios & Podcast can be recorded for free by the tool. And it will auto detect your song name while recording and add music tags into it. TwistedWave is a sound editor Mac as well as for PC users (https://twistedwave.com/online/). It is an online sound editor which you don’t need to install any extension or app on your Mac. All the audio is stored and processed on the server, so after registering an ID you can save and continue your editing work in different computers. You can add silence or add many effects to the sound. The app is especially convenient for those public computer users. 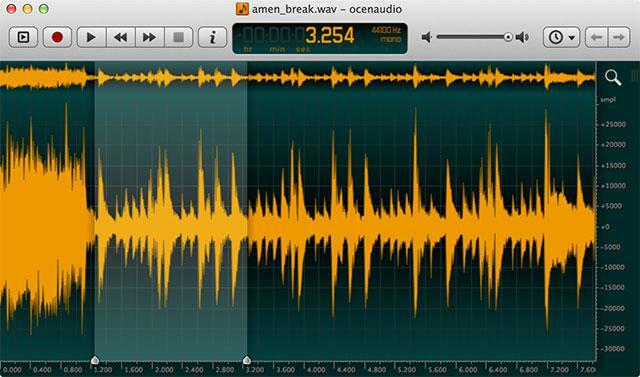 OcenAudio is a completely free and feature-packed cross-platform Mac sound editor. The app supports a huge number of file types including .MP3, .WAV, .FLAC and .WMA. It cuts the sound quite easily, and it can compress the huge files into smaller formats so that you can free more space for your Mac. Everyone knows Adobe product always product software. 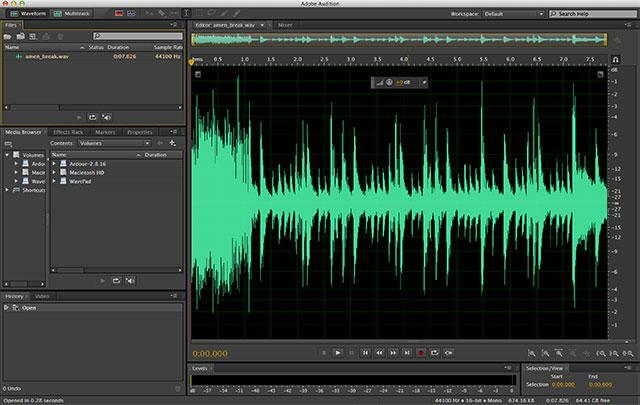 Adobe Audition is an expensive but strong Mac sound editor for professional users. It is designed for mixing, finishing, and precision editing audio sounds. This powerful audio workstation is designed to accelerate video production work-flows and audio finishing — and deliver a polished mix with pristine sound. Ardour is another professional Mac sound editor which can record, edit and mix sounds. It is an open source, collaborative effort of a worldwide team including musicians, programmers, and professional recording engineers. So it can be expanded using the hundreds of plugins available to users. It is an excellent OSX sound editor for composers, musicians, and sound engineers, but may be too complex for simple podcasts and quick audio fixes. 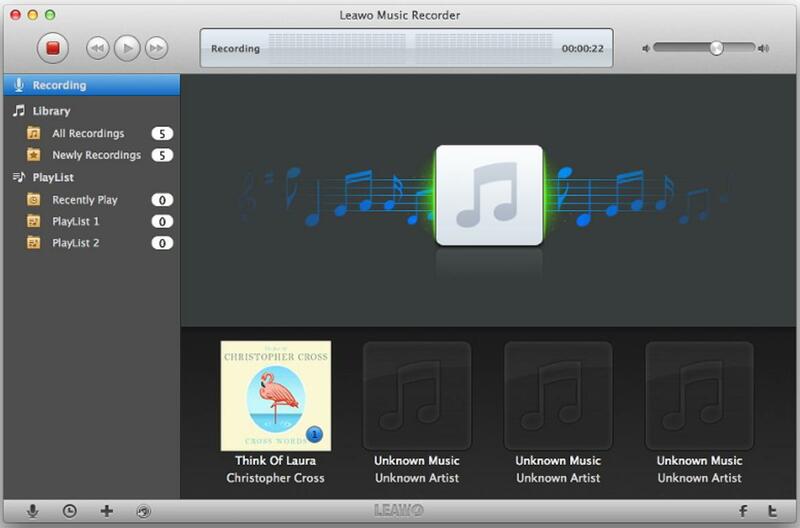 Leawo Music Recorder for Mac is a user friendly sound editor Mac. 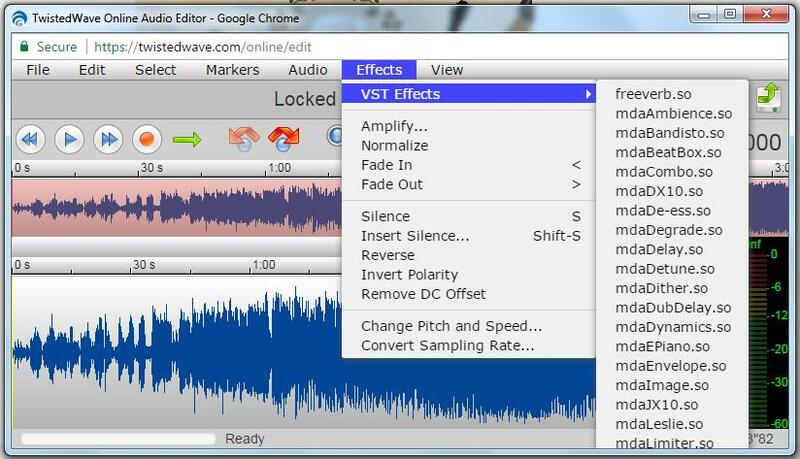 Users can easily figure out how to use it to edit sounds. It has a clean UI interface like a music player, you can record your sounds and export them as M4A, MP3 or WAV and copy to iTunes by one click. No matter what sounds you need – from sound card or microphone, it is easy to get high quality sound files as you want. The unique function of Leawo Music Recorder is that you can edit music tags for your sounds. When you are recording your sounds, the system will analyze the sounds and download the music information to the file. And you can edit the music tag manually and change pretty album photos. It is the best Mac sound editor for normal users. ☉ Record music from 1000+ music sites: YouTube, Facebook, etc. ☉ Schedule music recording via the recording task scheduler. ☉ Automatically/manually add music tags: artist, album, etc. ☉ Save recordings to either WAV/MP3/W4A format. Download and install this Mac OSX sound editor software on your Mac computer and then launch it. It works on Mac OS 10.6 and later. Here’s how to edit sound file on Mac OS X with this OSX sound editor software. If you need to edit sound files already in your computer, click the microphone button and go to "Audio Source" and choose "Record Computer Audio" mode. 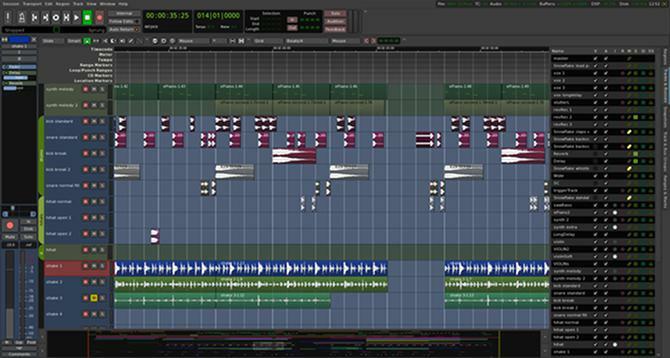 Then you are able to edit your sound by record them into the format you need or cut the desired parts of the music. If you need to record sound then edit the track, choose "Record Built-in Audio" and select the microphone you need for recording. Head to the menu bar of this program and then successively open "Leawo Music Recorder > Preferences > Format" option to set output sound file format as M4A, MP3 or WAV. Change bit rate(128-320 Kbps) and sample rate(22050-48000 HZ) for the sound. 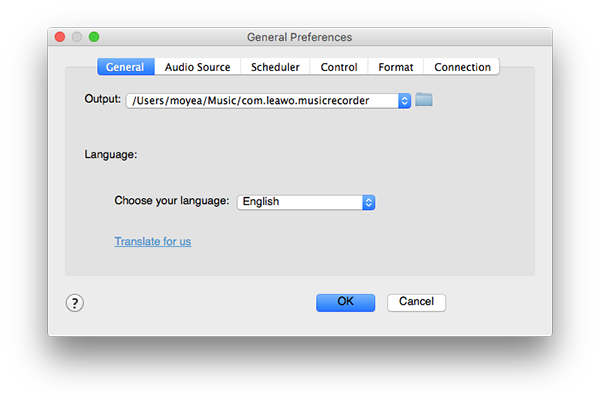 Head to Leawo Music Recorder > Preferences > General to choose the output folder for your recordings. Click on the recording button and start recording. The audio will be recorded by Leawo Music Recorder completely on just one click. And it starts to record only when the sound is detected by the recorder. Click stop or let the recorder stop automatically when the sound fades. 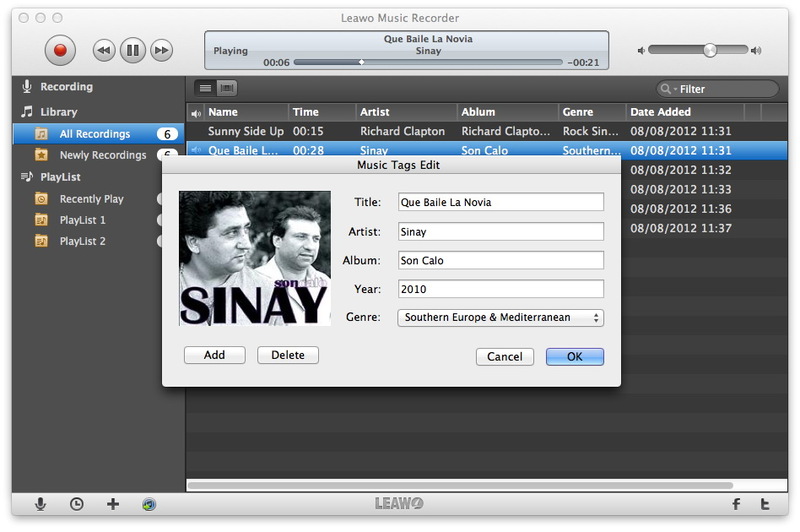 Leawo Music Recorder downloads the music information from its music database automatically. After finishing all the recording process, an audio file will be saved on your Mac. 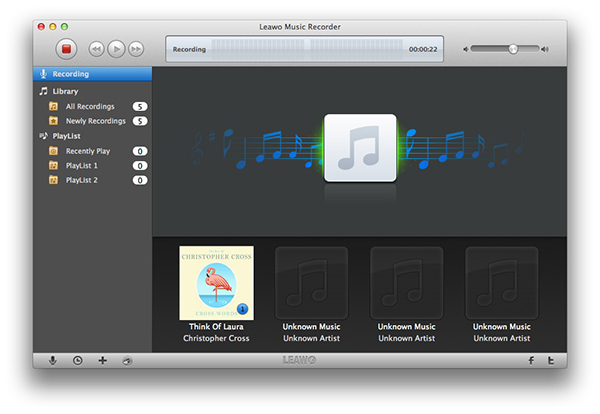 Leawo Music Recorder for Mac not only updates the music tags information automatically in batch mode but also lets you modify the music tags manually. Right click and choose download information, it will search album picture, artist, year, song name and insert to your songs from Leawo music database. Let Leawo Music Recorder do the sorting task for you. For Windows computer, please turn to Leawo Music Recorder to record and edit sound file on Windows computer with ease.